I love Apple, but if owning a Mac wasn’t an option for me, then I would move to Linux, as I couldn’t use Windows on a daily basis. However, there are hundreds of Linux distros, and picking the right one for your hardware can be a tricky business. 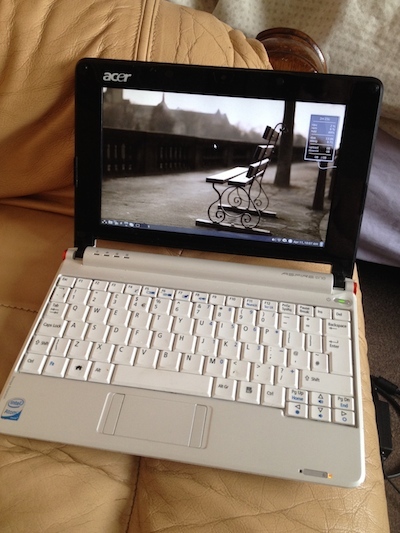 My spare test machine is an Acer AspireOne netbook. 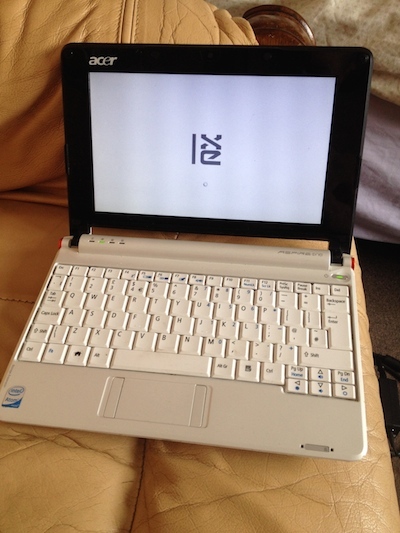 It has a 1.6 GHz Atom processor, 1.5 GB DDR2 RAM, an 8 GB SSD, and a 10″ screen. It is a nice machine, but its slow SSD and average specs put it in to the low-end category. I have been running ElementaryOS (also see my review) on it for a while, but the hardware just isn’t up to it for regular use, so I began looking for something lighter. Regular Ubuntu crawled on this hardware, and while Mint XFCE performed a lot better, I was still looking for something faster. A few years back I ran Mint LXDE on very low hardware, and I liked it, but it seems it is no longer being developed. After asking around, I was pointed towards LXLE – Lubuntu Extra Life Extension. It is a lightweight distro based on Lubuntu LTS using the LXDE window manager, which is in turn based on Ubuntu. I downloaded the free ISO from LXLE.net and created a USB installer using unetbootin and then booted to the live version. I checked that it detected my hardware correctly and how the distro performed. I was already impressed. I then went ahead and installed it. It uses the regular Ubuntu Ubiquity installer, which took under 30 minutes, including pulling in updates whilst installing. After installation was complete, I connected to my WiFi network, checked for any further updates, and installed Google Chrome. Within minutes of installation you can guess whether it is suitable for your hardware. If it is too heavy, then it will crawl and would be impractical for day to day use. However, it’s okay having a quick play with a distro, but unless you spend a little time on it, you don’t get the full feel for it. So I decided to give this distro and hardware 24 hours of my time. Putting my MacBook aside and solely using this Linux laden netbook. 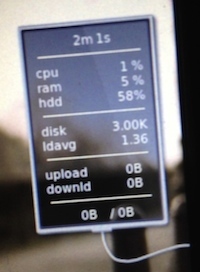 I was instantly impressed by the speed of LXLE; it was by far the fastest distro I had tried on this hardware. Where Ubuntu was unusable, and Mint XFCE and ElementaryOS were sluggish, LXLE screams along. Boot up is quick and ready to use in under a minute. One thing I can’t stand is a computer that take ages to boot and be ready to use, or one that boots to its desktop but still takes a long while to be useable. LXLE looked nice on the small netbook screen; it didn’t seem cramped at all. In terms of resources, it was very light. Sitting idle with WiFi connected after boot, it used 1% CPU and only 5% RAM. This was a welcome change to any other distro or OS I had on this machine. Simply navigating around the OS you get the feeling of speed: Nothing seems sluggish, and loading apps is quick enough. The only app I installed was Google Chrome. On other platforms I am not a fan of Google Chrome, but on Linux is a great browser, and now that Adobe have stopped Linux Flash development, and it is now the only Linux browser to have continued Flash support. There was around 3 GB of the 8 GB SSD left, enough for a few apps and your documents, but it isn’t going to hold a huge music collection. Other laptops would obviously have larger hard drives, and most netbooks have SD slots, which you could add a large card in to for additional storage. I have a large selection of applications on my Mac, but for the purposes of testing out LXLE, I would use this netbook purely for basic everyday tasks – such as web browsing and writing. For a lot of low-end hardware, they are used as second machines or web machines while heavy tasks are reserved for your main high-end machine. Chrome booted within seconds and performed very well. General surfing on sites such as Google and Wikipedia was great. Both Facebook and YouTube can stress older kit, but both worked very well. Navigating around Facebook was a breeze, and it handled standard definition YouTube videos without any frame drop outs – even at full screen. I wrote the majority of this article on the Acer netbook, using LibreOffice. This was amazingly quick, opening with seconds. Despite the small keyboard, it was easy to type on and would make an ideal travel writing machine. After 24 hours I was feeling very at home using LXLE. It is a very slick and fast distro, aimed at getting the best performance out of older kit without sacrificing looks. Its boots quick and applications loads quick. Once running, they all performed fantastically. fact I was so impressed with LXLE that I decided to install it on my daughter’s laptop that was running Windows XP – more on that later. 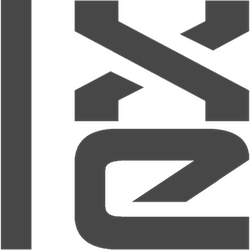 LXLE is creating quite a buzz in the low-end Linux world. Check out this further review of it running on a Dell Lattitude D430 from Carl Draper at Tech Thoughts. Carl also has a quick tip on how to add a battery Applet to LXLE something that seems missing by default. Finally check out the official LXLE website, where you can find more info on this distro and links to download it. I tried LXLE on my Dell D600. It was ok. And by ok I meant I didn’t instantly hate it. The Dell D600 is low end (1.4ghz Pentium M and 1 GB of RAM) and is paritally crippled by needing a distro with a non PAE kernel. There aren’t many distros that out of the box support non PAE kernels, LXLE is one so I gave it a try. It installed crap tons of utterly pointless software, and had what I call sub menuitis, that is sub menus that lead to nowhere in particular and launched nothing in particular. Also had some periodic episodic graphic glitches. So I gave up after a few weeks and installed AntiX, which is about as lightweight as Linux gets. I also am tiring of it, and will likely install Linux MINT Debian Edition on it, or go back to plain jain Debian with LXDE, which runs pretty damn well on it.